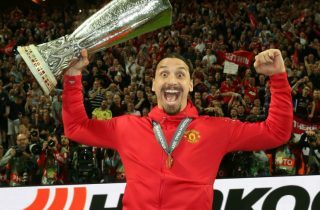 Zlatan Ibrahimovic has given an exclusive interview to the Daily Mirror’s Chief Sports Writer Andy Dunn in which he reveals the two players he feels Manchester United must build their future around. Interestingly, the man who brought Ibrahimovic to United, Jose Mourinho, probably wouldn’t agree considering his treatment of one in particular. The Swede is urging those in power at Old Trafford to do everything in their power to get behind both Pogba and Rashford because they have the world at their feet. “I think Paul Pogba has the potential to be the best player in the world in his position,” Zlatan told the Mirror in association with BetHard. “He is a good guy, he trains hard, he listens, he wants to become better, he wants to win. He wants to perform in every game. “Things happening outside do not really bother him because when you are at that level, everyone will speak. Positive, negative, in between, everybody. “Rashford is the future of Manchester United,” he added. “In the beginning, I saw him more as an individual – now he is playing more for the collective. He is using his quality more for the team, not for himself only. This is great to hear considering both players probably learned a lot from the time they spent as Ibrahimovic’s teammate. He was a brilliant centre-forward for United, a player I wish we had signed earlier, but you can also bet your bottom dollar that some of the younger players benefited from having a player of his experience and character around. Rashford has shown at stages this season he’s improving, but we need him to become a 20+ goal per season scorer. Ole Gunnar Solskjaer has expressed his belief that he must learn how to score more goals inside the box by learning how to be in the right place at the right time. As for Pogba, claims that he should be captain took a blow after the defeat to Arsenal last week. The Frenchman was given a chance to lead the side out with the captain’s armband and failed to drive his players on. If captaincy is something Pogba wants to remembered for in his career, he must act like one. All in all, Ibrahimovic is right about these players having the world at their feet, and it’s important we see their best days in United shirts. Not elsewhere.